November 3, 2014–Despite the media’s progress in defining native advertising, ambiguity surrounding whether it’s an honest or misleading is still prevalent in the headlines. It’s this confusion that has drowned out the industry’s progress in promoting transparency as a sales vehicle. In order to understand what’s going on, let’s take a step back and reexamine the definition of native advertising. Simply put, native advertising is paid media that intentionally blends into content in which it appears. 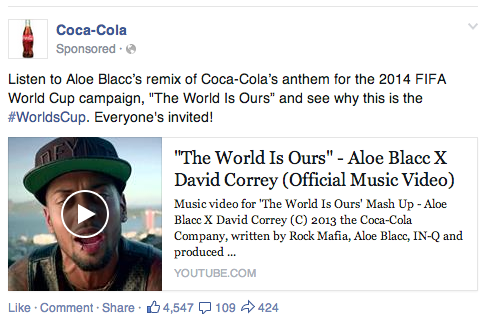 One of the most prevalent examples of this type of advertising is Facebook’s news feed ads. The “sponsored posts” organically flow through a consumer’s news feed as the reader scrolls down through their friend’s posts, comments and photos. The way in which the ad content is structured, as a post, blends right into the way the Facebook news feed content is meant to be consumed. The most basic type of native ad unit is the image plus text which is foundational to native advertising. Other variations on this format do exist including video ad units, sponsored articles (sometimes called advertorials, which is a throwback to the magazine era) and just plain text. A common cause for confusion surrounding native advertising is the purpose or goal of the ad. Since native ad units can come in different format, it’s perfect for selling various products, services or promoting different types of content. Sometimes it’s selling a product directly, sometimes it’s touting a brand’s message, or it’s sending the reader to other content. The flexibility of native advertising is both one of its strengths and its weaknesses. Native exchanges still somehow use vague language in their disclosures today and hide ad notification icons or at best make them barely visible. For example, the popular “You Might Like” heading over a group of native ads can cause confusion– consumers infer that the content appearing is just that, editorial content when in fact, it’s sponsored content. The ad icons often used are not well known either. What is the point of a disclosure if it doesn’t actually notify the consumer that they are looking at is paid media? Make sure the exchange you are using clearly labels the disclosures. Ask them to see how your ad will appear on a website. Language such as “Offers and Articles from Around the Web” prepares the consumer for the mix of ads and sponsored content that they will encounter if they click on one of the native ads. An example of vague language is Chipotle’s sponsorship of Huffington Post’s Food For Thought Blog. The brand appears around the page in some of the articles and in the opening of the blog, but doesn’t make it well-defined that it was sponsoring the content. It was AdWeek that actually helped to make the sponsorship clear to the media and the rest of the world. Even when a consumer can distinguish native advertising from editorial content, then engages with the ad, there can often be confusion when they get to a landing page. Any native ad exchange network worth their salt will always review and approve advertisers’ landing pages. If yours isn’t compliant, guess what shouldn’t be advertising. Better disclosure leads to better business results, period. Advertisers can benefit from better engagement if they extend the practice of proper disclosures to their landing pages. The best example out there now is BMW’s Medium blog partnership. 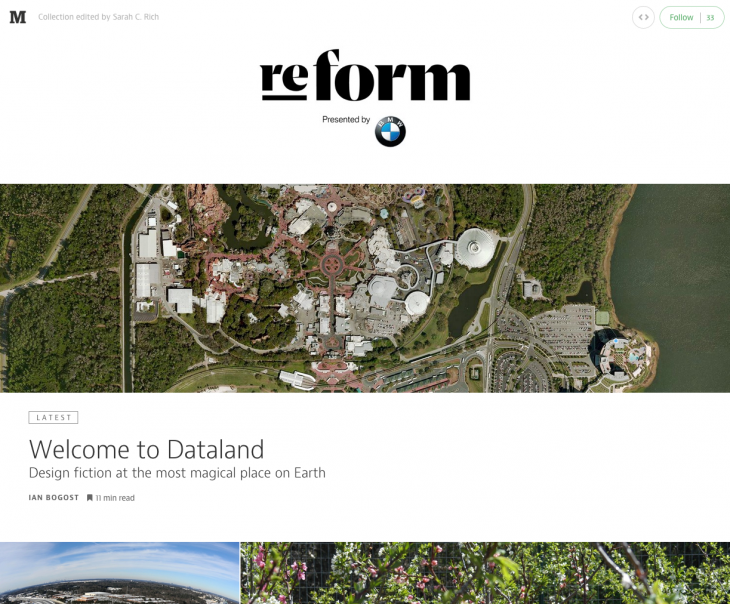 Medium’s page clearly conveyed BMW as the sponsor of content, which intertwined functional design and inspired art, perfectly fitting in with the content. BMW is prominently featured as the sponsor, but the content is the hero that demands all the attention. If we all work towards the goal of keeping consumers better informed and helping them make better decisions by distinguishing editorial content from ads, engagement will rise and more meaningful business results will be achieved. Bottom line is, we all win. Check out the full article from our friends at TNW. This entry was posted in Content Marketing on November 3, 2014 by .